Last Meeting: January 8 in Allentown, the Penguins won 4-3. Josh Archibald had two goals. 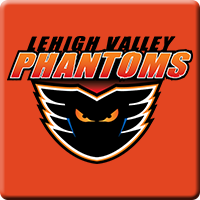 Why you should care: The injection of Scott Wilson and Conor Sheary should help the Penguins tonight who come into this matchup against the Phantoms who have lost 4 of the last 5. I’d put a penny on Tristan Jarry starting in goal tonight. Jarry won the only game in this mini-slump the Penguins are on. Other Game to Watch: Can Hartford win nine in a row? They host in state rival Bridgeport at home tonight.